“I Am a Bunny” – My son recently sent me a photo of my grandson wearing a pair of bunny ears. 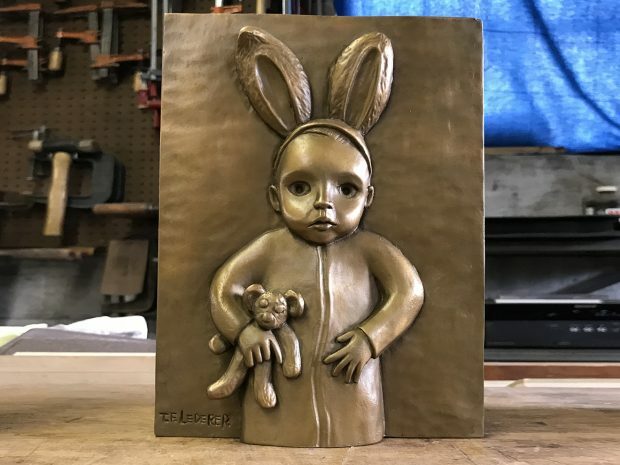 It immediately reminded me of reading “I Am a Bunny” by Ole Risom and illustrated by Richard Scarry to my son every night when he was very young. 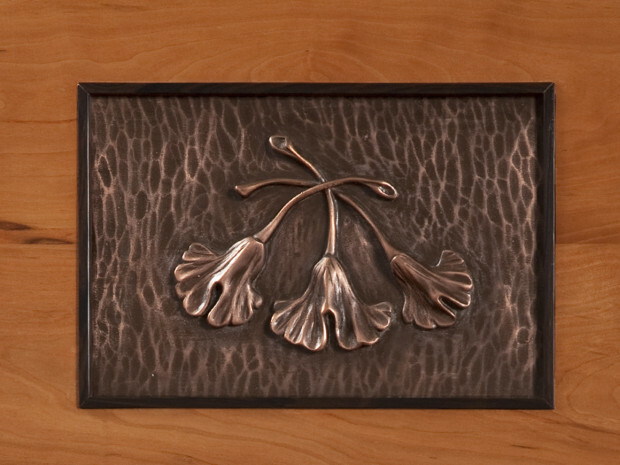 The photo and the memory became the inspiration for this carving and bronze casting. 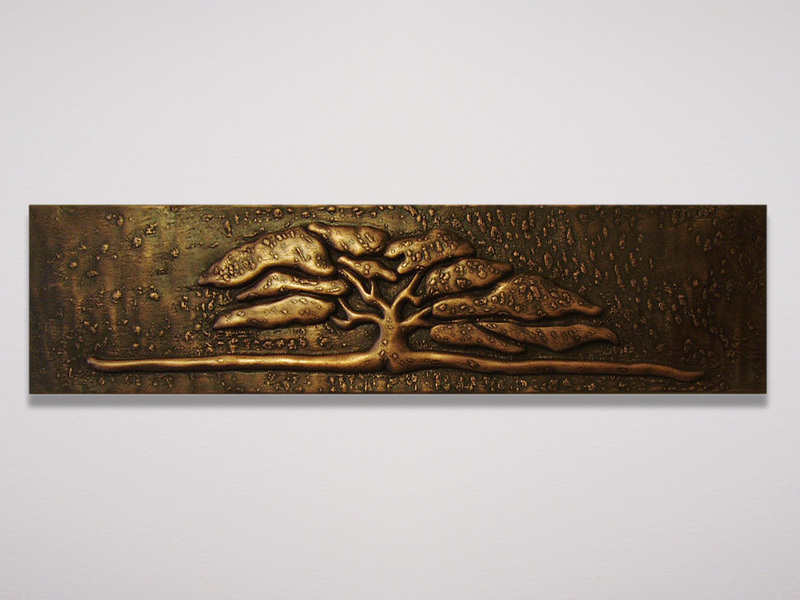 Arts & Crafts tree cast in copper powder from hand carving by Tom Lederer. 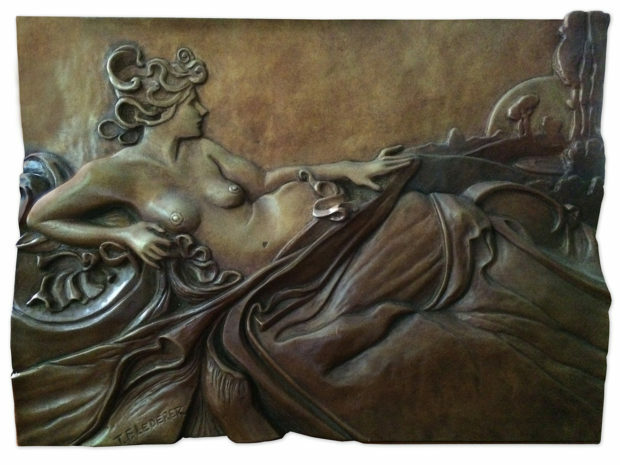 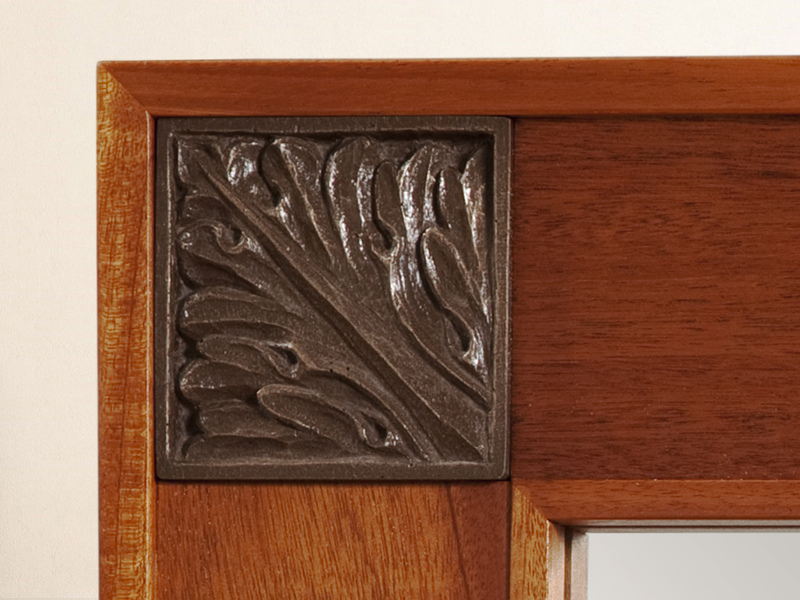 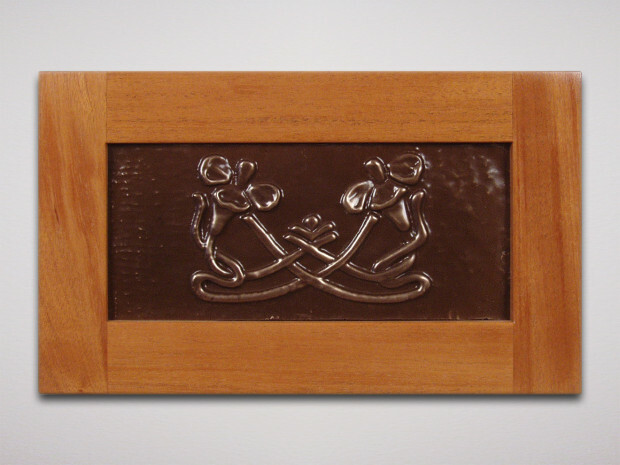 Also available in bronze with or without frames, to be used as a panel for cabinets, mantels, etc. Cold cast bronze powder from original carving.